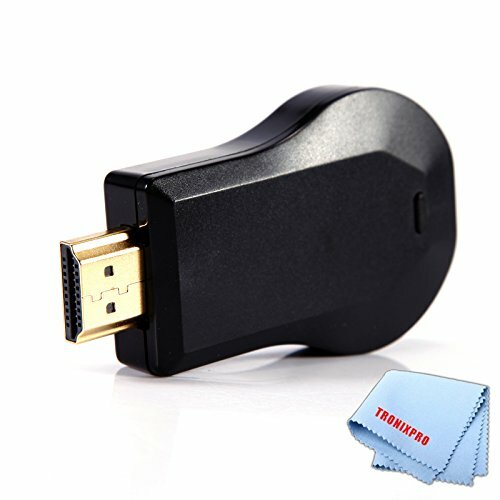 Wireless 1080P HD media content receiver for All LCD, LED and Plasma TVs. Stream from any smartphone tablet or laptop + Tronixpro Microfiber Cloth by Tronixpro at AABX. MPN: TR-GA135GW. Hurry! Limited time offer. Offer valid only while supplies last. Wireless HD media content receiverPerfect for: - 1080P TVs Works with any smartphone, laptop and tablet: Apple, Samsung, mirroring and airplay. Works with any smartphone, laptop and tablet: Apple, Samsung, mirroring and airplay. If you have any questions about this product by Tronixpro, contact us by completing and submitting the form below. If you are looking for a specif part number, please include it with your message.